Earth Law Center Board Director Rachelle Adam, who teaches environmental law at the Law Faculty at Hebrew University in Jerusalem, is working to protect the Ein Levan Natural Spring from intense urban development. Where is the Ein Lavan Spring? Ein Lavan, “White Spring”, named for the white color of surrounding bedrock, is located in the Refaim Stream National Park in Jerusalem. The spring flows year-round out of a cave from its groundwater source, streaming into two ancient pools built into the hillside landscape. Ein Lavan is part of a narrow ribbon of similar springs encompassing Jerusalem, together with the archaeological remains of ancient settlements and biblical agricultural landscapes. In addition to its importance as a water source for the rich biodiversity of the area, Ein Lavan, as a naturally flowing spring in an urban setting within an arid country, is unique in the cultural and recreational services it provides to the public. Israel has few surface water sources, and hence the value of Ein Lavan, widely used by landlocked and beach-less Jerusalemites, “thirsty” for a dip in a natural spring during the long and hot summers. Despite its significance as a precious water source and provider of varied ecological services, Ein Lavan is under threat by a development plan for 5,000 housing units in “Reches Lavan” - “white mountain ridge”. Reches Lavan is a key Jerusalem nature site comprising Ein Lavan’s watershed area, extending throughout this forested natural area planned for construction. Reches Lavan has been defined as being of high hydrological sensitivity and expert opinions hold that in all likelihood construction of the new neighborhood will dry up Ein Lavan and other springs in the area. The construction will block underground flow paths to the spring, sealing it off from its natural inflow. Moreover, by covering the area with cement and asphalt, the construction will effectively destroy ecosystem functions of rainwater percolation, as well as the ecosystem services that supply clean air and drinking water for Jerusalem’s human population, carbon sequestration, oxygen generation, climate regulation, soil creation and conservation, biodiversity support, and cultural and recreational services. An in-depth understanding of the threats to Ein Lavan requires identifying the underlying factors that led to Israel’s environmental crisis. Israel’s population is growing rapidly and by 2065 will reach 20 million from the current 8.7 million today. It is experiencing high economic growth, together with fast-growing consumption and a rising standard of living. Furthermore, geographically Israel is located in an arid region characterized by chronic water scarcity - by 1980, water use reached total capacity of freshwater. Israel has historically solved its water shortage by creating more water. Israel makes extensive use of treated wastewater effluents for irrigation in agriculture and today roughly 90 percent of the wastewater generated in Israel is reused, making it the world’s leading country in water reuse. Since the beginning of this century, Israel ranks high in the production and use of desalinated water: approximately 70 percent of Israel’s drinking water supply is desalinated water. 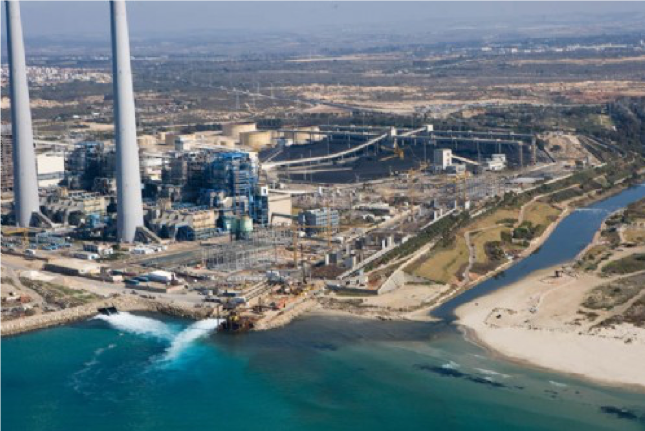 The question of the sustainability of such extensive desalination looms large over Israel’s formidable success in overcoming its chronic water scarcity. Nevertheless, an admirable goal of government policy in its sweeping use of desalinated water, was to cut back on pumping groundwater to allow the restoration of natural inflow to denigrated streams and springs. Israel’s high rate of population growth has led to a demand for housing, leading to the loss of natural areas to new neighborhoods, as exemplified by the development plan threatening Ein Lavan. Ein Lavan illustrates the conflict between the rights of humans to habitat/shelter, versus the rights of nature to water/habitat/shelter. Does this focus on human rights, the right to shelter, to water, to property, to employment, to a family, while a worthy and necessary pursuit, encourage economic growth, consumerism, and population growth, the underlying causes of ecosystem destruction? And at the expense of nature, which lacks these rights? Hence evolved the concept of rights for nature, to level the playing field and prevent human misuse of water that nature needs for its own survival. For if humans’ rights to water are legally recognized, so should nature’s rights to water. As Yuval Noah Harari notes in Sapiens, “Human laws and norms have turned some people into slaves and others into masters.” Drawing an analogy to the master versus slave relationship, existing laws and norms have turned nature into a slave for humans by turning it too into property, denying nature those rights that could ensure its recognition as a legal entity with basic needs to be realized. How do Israel’s laws relate, if at all, to this situation? The Water Law evolved from a legal tool for development to a law protecting nature’s rights to water. At its initial adoption in 1959, water was perceived as a commodity for development. Yet evolving together with the growing awareness of the environmental crisis, a new chapter on pollution prevention was added in 1971. In 1992, stronger enforcement provisions were added to the law to strengthen pollution control. And in 2004, the law finally evolved to granting nature the right to water, together with the urban, farming, and industrial sectors, guaranteeing water for “conservation and restoration of nature and landscapes, including springs, streams and wetlands”. This amendment was a direct response to the dismal state of Israel’s streams, reflecting the extreme urban, industrial and agricultural development of the past 70 years that had dried up wetlands and transformed streams into drainage and sewage canals. Stream restoration became a national priority, supported by a 2000 government decision allocating 50 million cubic meters of water annually for stream restoration. In 2002, a government masterplan for water management implementing allocations for stream restoration, defined nature as a legitimate consumer of water. In 2003 the government issued a landmark policy paper entitled “Nature’s Right to Water”, recognizing that streams’ right to water means entitlement to their own inflow and not water from the national grid. Yet as noted above, when the issue is the right of the public to housing versus the right of Ein Lavan to water, the government decided that the public has priority – “the public need for this plan justifies its approval, despite its impact on the springs.” If the plan is finally approved despite its impact on the spring and nature generally, environmental organizations and activists will undoubtedly petition for judicial review. Can Ein Lavan also petition the court? The law recognizes the right of the spring to water, but does not go further and declare the stream a legal person: while the original intention was to declare wetlands a legal entity, this provision didn’t make it to the final version of the amendment. Streams and springs are legally entitled to water, but as discussed above, in the conflict between humans’ rights to shelter and streams’ rights to water, humans have priority over nature. Whether or not Ein Lavan would be allowed into court as a formal petitioner, remains to be seen. Could the public trust doctrine support the spring’s standing in court? Under Sec. 2 of the Water Law, “Israel’s water sources belong to Israel’s public, subject to the control of the state”. Hence government officials are public trustees for protecting the country’s ecosystems, streams, springs, plants, wildlife, biodiversity, but for the public as beneficiary and not for the actual ecosystem, stream or spring. An alternative would be to turn the public into trustees for nature as the beneficiary, but this would entail new legislation, always problematic. The 14 years that have passed since the 2004 amendment to Israel's Water Law allows a broad perspective on the law’s implementation, and the challenges that constantly arise. Recognition of importance of inflow of the stream’s natural water – right of the stream to its own water – has led to water allocations of natural water rather than from the national grid. Moreover, a government stream restoration project is well underway for polluted streams. But overdrawing from aquifers continues, and together with an ongoing drought and decrease in aquifer recharge, the result is a scarcity of in-stream flow, and a serious downward trend in spring resurgence in the north of Israel, where as yet no desalination plant has been constructed to replace freshwater with desalinated water. Despite the improvement in their legal status, Ein Lavan and other springs in the area of the plan remain silent stakeholders, not even warranting an in-depth hearing regarding their fate. While government bureaucrats and planning committees, under pressure by politicians, have swiftly moved ahead with the development plan, it’s advance through the planning process has meanwhile come to a standstill following legal and political hurdles. Now, imagine how it would be if the Ein Lavan Spring had broader and more defined rights, as well as a right of standing so that it could stand up for its legal rights in a court of law. Rights that would include the right to flow; the right to perform essential functions within its ecosystem; the right to be free from pollution; the right to feed and be fed by sustainable aquifers; the right to native biodiversity; and the right to restoration. Personhood for rivers has already been recognized in New Zealand, India, and Colombia, and nature’s inherent rights are recognized in the countries of Bolivia and Ecuador as well as Mexico City and over 30 municipalities in the US. If the Ein Lavan Spring had similar legal rights, then unsustainable exploitation that would impair those rights could be challenged, with the spring itself having standing in a court of law. In practice, humans would have to stand in a court of law to enforce such rights on behalf of the spring, acting as legal guardians – a model that is already familiar to lawyers who represent children, disabled persons, and so forth. This model would in turn empower local communities, environmental groups, and others seeking to support the spring’s rights.